If you’re getting into jazz or expanding your jazz chops, this comprehensive approach is for you. 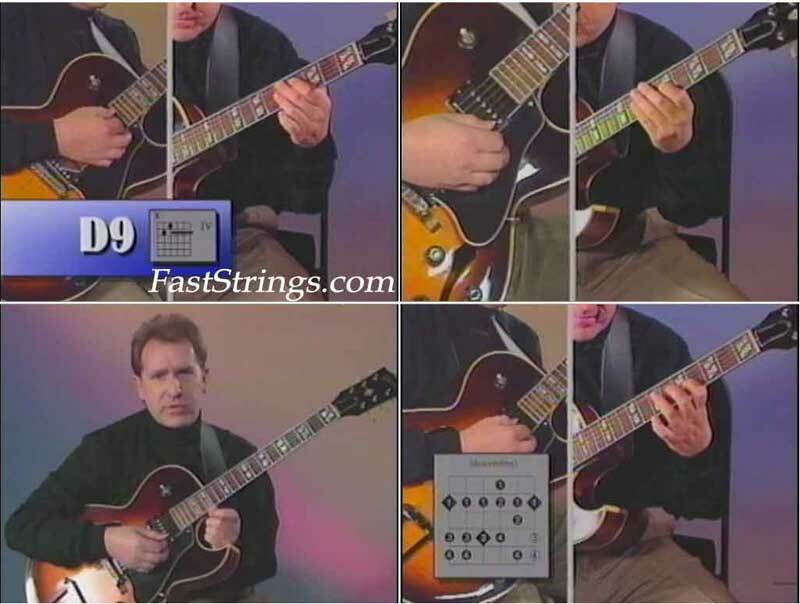 From comping and chord voicings to single-note soloing, you will learn, step by step, the tools necessary for playing jazz guitar. The book is easy to understand and contains hundreds of great-sounding playable examples to serve as springboards for applying the concepts to jazz standards or your own compositions. Whether you’re into traditional jazz or fusion, this book has it all. In notation and tablature. Mike Christiansen is a Professor and Director of Guitar Studies at Utah State University. In 1994 he was selected “Professor of the Year” at Utah State. He is the author of numerous instructional books, has recorded several CDs, and appears on fourteen instructional videos. He has had articles published in several magazines including Acoustic Guitar and Soundboard, and has also conducted many workshops for guitarists and educators. In addition to this work geared toward teaching, he has played in many top bands and ensembles, has written and performed radio jingles, has backed up many artists on recordings and has written and recorded music for TV and educational films. Currently, in addition to his teaching and writing duties, Mike does solo work, performs with the Lightwood Duo (a clarinet-guitar duo), and is a member of the group, Mirage. The book is a mess of unevenly sized scans (which is fixable) but it is also missing page 112. Have original book & CD – comprehensive, with backing tracks, GOOD BOOK.